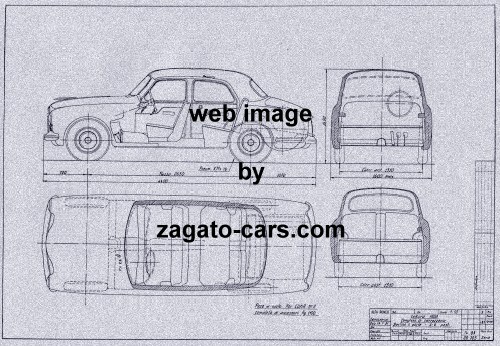 Alfa Romeo 1900 Berlina Blueprint with 4 Different Views. 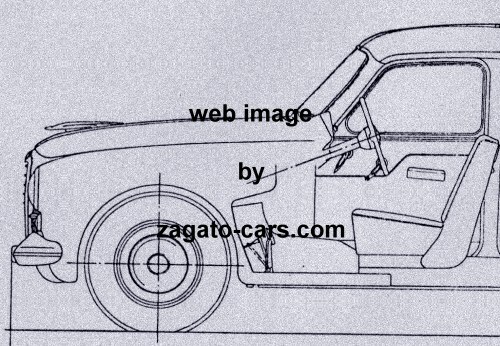 This blueprint shows the Alfa Romeo 1900 Berlina in a scale of circa 1/10. It measures some 57 x 82 cm or 22.5 x 32 inches. The text web image zagato-cars.com does not appear on the actual blueprint.